WRIGHT, James Claude, Jr., a Representative from Texas; born in Fort Worth, Tarrant County, Tex., December 22, 1922; graduated from Adamson High School, Dallas, Tex., 1939; student at Weatherford College, Weatherford, Tex., 1939-1940, and the University of Texas, Austin, Tex., 1940-1941; enlisted in the United States Army Air Force in December 1941; commissioned in 1942 and flew combat missions in the South Pacific; was awarded the Distinguished Flying Cross; partner in a national trade extension and advertising firm; member of the Texas state house of representatives, 1947-1949; mayor of Weatherford, Tex., 1950-1954; served as president, League of Texas Municipalities, 1953; delegate, Democratic National Convention, 1956, 1960, 1964, and 1968, and Democratic National Convention chairman in 1988; elected as a Democrat to the Eighty-fourth and to the seventeen succeeding Congresses and served from January 3, 1955, until his resignation on June 30, 1989; majority leader (Ninety-fifth through Ninety-ninth Congresses), Speaker of the House of Representatives (One Hundredth and One Hundred First Congresses); died on May 6, 2015, in Fort Worth, Tex. Papers: ca. 1911-2004, approximately 1062 linear feet. The papers of James (Jim) Wright document his career in the U.S. House of Representatives. The papers include constituent correspondence, correspondence between Wright and his colleagues, subject files, news clippings, speeches, writings, oral history, and photographs. A finding aid is available in the repository and online. Beasley, Mark William. "Prelude to Leadership: Jim Wright, 1922-1963." Ph. D. Diss., Texas Christian University, 1997. Lyman, Marshall. Stories I Never Told the Speaker: The Chaotic Adventures of a Capitol Hill Aide. Dallas: Three Forks Press, 1998. Ralph Nader Congress Project. 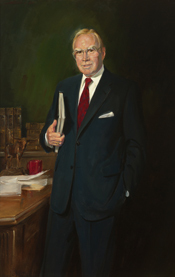 Citizens Look at Congress: James C. Wright, Jr., Democratic Representative from Texas. Washington, D. C.: Grossman Publishers, 1972. Wright, Jim. Balance of Power: Presidents and Congress from the Era of McCarthy to the Age of Gingrich. Atlanta: Turner Pub., 1996. ___. The Coming Water Famine. New York: Coward-McCann, 1966. ___. "Legislation and the Will of God." Congress and Conscience. Edited by John B. Anderson. (New York: J. B. Lippincott, 1970): 21-50. ___. Reflections of a Public Man. Fort Worth: Madison Publishing Company, 1984. ___. Worth It All: My War for Peace. Washington: Brassey's, 1993. ___. You and Your Congressman. New York: Coward-McCann, 1965.